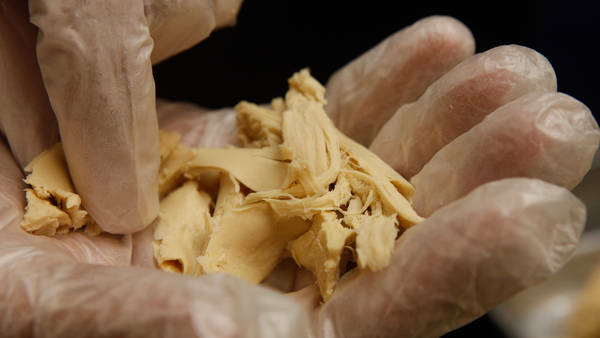 Real Fake Chicken: The Op-Ed columnist Mark Bittman visits a factory that is perfecting a new type of vegetarian substitute for chicken. IT is pretty well established that animals are capable of suffering; we’ve come a long way since Descartes famously compared them to nonfeeling machines put on earth to serve man. (Rousseau later countered this, saying that animals shared “some measure” of human nature and should partake of “natural right.”) No matter where you stand on this spectrum, you probably agree that it’s a noble goal to reduce the level of the suffering of animals raised for meat in industrial conditions. There are four ways to move toward fixing this. One, we can improve the animals’ living conditions; two (this is distasteful but would shock no one), we might see producers reduce or eveneliminate animals’ consciousness, say, by removing the cerebral cortex, in effect converting them to a kind of vegetable (see Margaret Atwood’s horrifying description in her prescient “Oryx and Crake”); three, we can consume fewer industrially raised animals, concentrating on those raised more humanely. Or four, we can reduce consumption, period. That is perhaps difficult when people eat an average of a half-pound of meat daily. But as better fake plant-based “meat” products are created, that option becomes more palatable. My personal approval of fake meat, for what it’s worth, has been long in coming. I like traditional meat substitutes, liketofu, bean burgers, vegetable cutlets and so on, but have been mostly repelled by unconvincing nuggets and hot dogs, which lack bite, chew, juiciness and flavor. I’m also annoyed by the cost: why pay more for fake meat than real meat, especially since the production process is faster, easier and involves no butchering? And, I have felt, if you want to eat less meat, why not just eat more of other real things? But in October I visited a place in The Hague called The Vegetarian Butcher, where the “butcher” said to me, “We slaughter soy” — ha-ha. The plant-based products were actually pretty good — the chicken would have fooled me if I hadn’t known what it was — and I began to consider that it might be better to eat fake meat that harms no animals and causes less environmental damage than meat raised industrially. Really: Would I rather eat cruelly raised, polluting, unhealthful chicken, or a plant product that’s nutritionally similar or superior, good enough to fool me and requires no antibiotics, cutting off of heads or other nasty things? Isn’t it preferable, at least some of the time, to eat plant products mixed with water that have been put through a thingamajiggy that spews out meatlike stuff, instead of eating those same plant products put into a chicken that does its biomechanical thing for the six weeks of its miserable existence, only to have its throat cut in the service of yielding barely distinguishable meat? We’re ready for this. According to a Harris poll commissioned by the Vegetarian Research Group, a third of Americans now eat meatless meals “a significant amount of the time,” and that doesn’t include vegetarians, who make up at least 3 percent of the population. These numbers would grow faster, advocates of meatlike plant foods believe, if fake meat fooled us more often. I don’t believe chickens have souls, but it’s obvious they have real lives, consciousness and feeling, and they’re capable of suffering, so any reduction in the number killed each year would be good. If that’s too touchy-feely for you, how’s this? Producers have difficulty efficiently dealing with the manure, wastewater and post-slaughter residue that result from raising animals industrially; chickens, for example, produce about as much waste as their intake of feed. Until now, cost remained an objection. Some fake meat sells for upward of $12 a pound, which is nearly four times the national average for boneless breasts. Brown says that his price will be below that of chicken. All of this got me down to Cumberland, Md., where Brown’s pilot facility is housed, to make some “chicken” myself. (You can find a video of my trip at nytimes.com/bittman.) The process mimics that of pasta, breakfast cereal, Cheetos and, for that matter, plastic. I poured some powder into a hopper — in this instance, soy and pea protein, amaranth, carrot fiber and a few other ingredients (not many, mostly unobjectionable and of course no antibiotics) — and an extruder mixed it with water, applying various temperatures and pressures to achieve the desired consistency. The thick strands that emerged on the other end didn’t precisely resemble chicken strips, and when I tasted them unadulterated I found it bland, unexciting and not very chicken-like. But not offensive, either, and as an ingredient we’d all be hard-pressed to distinguish it from most of the animal-based models. And almost all unbiased people agree that less meat is better than more: for our health, for the environment and certainly for the animals treated as widgets. A version of this op-ed appeared in print on March 11, 2012, on page SR1 of the National edition with the headline: A Chicken Without Guilt. I loved my mother dearly, but she was the world's worst cook, especially when it came to preparing meat and poultry. So naturally I became a vegetarian at the age of 21. I can't even look at chicken without getting ill. The fake stuff currently on the market (which doesn't look like chicken) tastes pretty awful. This new psuedo-chicken sounds like it tastes as terrible as the real stuff. March 9, 2012 at 9:36 p.m.
You mentioned amaranth, which here in the hinterland goes by "pigweed". Amazing thing about amaranth is that after spraying huge fields with herbicide to eliminate "weeds", one sees oceans of little soybean plants punctuated by tall, healthy specimens of pigweed. One might just consider foregoing the herbicides and soybeans and planting amaranth, which was the staple grain of the Inca for a thousand years. My philosophy professor, one of the few truly Christian men I've known, is a vegetarian who has become so viscerally indisposed to meat that he is nauseated by the smell of a McDonald's. Meat, for him, has no appeal at all. I share your opinion of industrial animal factories and the unthinkably horrible events that plague them. Thankfully, humans are coming out of the stupor of slaughter as normal. Cattle have long been seen as alien and incompatible with North American environment, but I shudder to think that bison, who are native to our region, might be treated as ignobly as cattle. And why should the possibility of souls be dismissed? If soul is a universal aspect of existence, how are humans so different? Why wouldn't the intangible spirit be pervasive? Like the theory of Gaia, the living planet, extolled by Jedi as well as Sir Richard Attenborough, this Earth is undeniably one living system. Wouldn't soul be constituent and coherent in all things in creation, living and inert? Your repartee, Mr. Bittman, no less than your recipes, is always intriguing and delightful. March 9, 2012 at 7:21 p.m. It is interesting to see how far vegetarian replacements have come... During a brief (few year) stint as a vegetarian, I hated meatless burgers and the disquietingly jiggly tofu blocks that were supposed to replace the meat in my diet. Unfortunately, I don't ever see fake meat products replacing a good steak or veal cutlets or lamb chops or salmon or really anything but bland, tasteless, white chicken meat, just like soy cheese will never replicate parmigiano regiano. (Soy milk, on the other hand, I will say is much better tasting than real milk!)) And when I eat meat, I don't want to eat something which doesn't contribute any noticeable taste or texture, like chicken breast, so I can't see myself using these products. Well I would never want to become vegan/vegetarian, anyway, so I guess I will have to focus on supporting humanely raised animal products. March 9, 2012 at 4:20 p.m.
"And almost all unbiased people agree that less meat is better than more: for our health, for the environment, and certainly for the animals treated as widgets." And your statement, of course, is not at all biased. March 9, 2012 at 8:32 p.m.
No, I think it is a fair statement. Nutritional experts have been urging us to eat less meat and more vegetables for a long time. It has nothing to do with politics (although for the right, science is totally politicized). No one is going to take your steak away from you, and we'll still subsidize your heart operation when your arteries are clogged. So relax. March 10, 2012 at 12:54 a.m. There are many animal flesh analog products not sold in the US, which is frustrating and speaks to the lack of US consumer awareness. I am delighted you are bringing media attention to this issue, and hope you will continue to do so. Considering how much of fast food chicken products, meat products are using grains, stalks, and other miscellaneous vegetation in order to save money, I'm actually wondering why there hasn't been more of a demand for these replacement products. However, there may be resistance because of the stigma 'meat replacement' goods have in the household market. Perhaps if the cost of these 'meat replacement' are lower as this article seems to suggest they can achieve, households can overcome these stigmas and actually bring about a greater consumption of more economically and ecologically friendly food supply. If I understand correctly, "the chicken" is made of soy (among other ingredients) which, here in the U.S., comes to us genetically modified, from Monsanto. G.M.O. soy seems to affect Monarch butterfies & induce earlier menarche, as well as "stuff"/mutations in humans, we may not know about yet. At the risk of sounding elitist, let's buy the most local meat we can afford, the most local vegetables, fruit, eggs, etc. (hopefully where we know the farmer), "grow our own" in the summer & try not to "make do" . I love your NYTimes articles & my copy of "How to Cook Everything" is suitably paper-clipped & cooking splattered. You have confused Monsanto’s activities (which are appalling) with GM technology, which is a legitimate scientific enterprise that has the ability to greatly benefit an overpopulated world. March 9, 2012 at 8:30 p.m.
"In the only human feeding study ever published on GMOs, Monsanto's GMO soybeans were found to transfer Monsanto's "RoundUp Ready" DNA to the bacteria living inside human intestines." Even local chicken is an inefficient and cruel source of meat, if less so than industrially farmed chicken. Better not to eat meat at all, and if the craving strikes, satisfy it with a well-made (non-GMO-soy-based) substitute. Although I hear Monarch butterflies are delicious . . . .
With all the controversy about "pink slime" this subsititute for chicken seems to be an attractive alternative. Thank you for letting me know this product is on its way and also for advocating for the poor chickens in an even-handed manner. We have been vegetarians for over 25 years and I have gradually introduced the fake meat products into our diet as they have improved over the years. I like the Quorn products, but as you mention, they are expensive. I look forward to trying this new take on fake. While I generally agree with many of your positions (not all), I find fault with this particular one. While I agree with you that industrialized meat & poultry production is deserving of much criticism (from many different angles), the problem I see with grain based poultry substitutes is that they are simply unnatural. Just as unnatural as diet sodas, Twinkies, et. al. Human beings are not really omnivores. We're meat eaters. We absolutely need the type of fats in our diets that only occur in meat. Vegetarianism is both unnatural and unhealthy (in the long run) . Just one man's opinion. But thanks and keep up the great work. Whenever my wife & I need a chuckle, we look for the video of you preparing short ribs. Throwing the knife away makes us laugh out loud every time. We ARE omnivores and were exclusively so long before we ever started eating bits of meat that we scavenged from predators on the savannah. As to vegetarianism being unhealthy or “unnatural” I can only refer you to Ghandi and a billion or so other Indians. You are entitled to your own opinions, but not your own facts--Richard Feynamn, physicist. March 9, 2012 at 8:24 p.m.
"(The University of Arkansas reports that if humans grew as fast as chickens, we’d weigh 349 pounds by our second birthday.) " Shades of Soylent Green! There's the solution to world hunger, right there. Somebody get busy on that project, please. "...and a few other ingredients (not many, mostly unobjectionable and of course no antibiotics) ..." Uhhhh...wait a minute - mostly unobjectionable? I'd want to hear about the objectionable one(s) before I committed to eating this stuff, okay? Call me chicken. This is such sloppy thinking that I honestly have no place to begin. I think we need a new term - a leap of logic soooo fundamentally stupid.. it shall be coined a "Bittman"
May I offer my own Bittman: All living things can suffer | Plants are living things | Plants can suffer | Better that humans suffer from hunger than eat plants. Please point me to the scientific evidence that plants suffer. 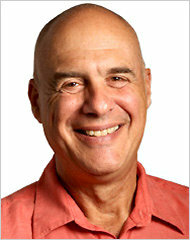 Your attack on Mr. Bittman is unnecessarily rude. Vous etes un merde. March 9, 2012 at 8:18 p.m.
Chinese vegetarians and non-vegetarians have long enjoyed soy-based vegetarian chicken, duck, roast pork, abalone, shark fins, and many other kinds of "meats" for Centuries. You can find vegetarian restaurants that offer sumptuous vegetarian banquets in New York Chinatown ( and in other large US cities). You can also purchase canned versions of these items at most Asian grocery stores. Why not just eat a healthy, free-range, organic chicken that actually is chicken and actually has all the nutrients specially provided by chicken? I do not believe that fake meat is nutritionally similar or superior to lean meat from a properly fed animal. And on the taste and texture side, meat wins every time. But I am happy to fly up to NY and do a blind taste test with you, to put that to the challenge. "Why not just eat a healthy, free-range, organic chicken that actually is chicken and actually has all the nutrients specially provided by chicken?" Because some of us don't eat flesh. That's why these things exist. It sounds very sensible. I'll try it. I descend from a German family named Haenlein ("little chicken, chick") and I assure you this news couldn't come soon enough for me. Full of helpless remorse--helpless because no other food makes me feel so good, remorseful because I know exactly how my food arrived at my plate and feel sick about it--I eat chicken every night and would gladly--joyously, in fact--switch to a vegetable substitute if I could achieve anywhere near the same gustatory results. Bring it on! Perhaps the time has come for a restaurant name I thought of years ago, "Tastes Like Chicken." If it's kosher, call it Soy Vey. Excellent article. Thank you, again, Mr. Bittman. But what does this mean: " ... and a few other ingredients (not many, mostly unobjectionable ..."??? March 9, 2012 at 4:19 p.m.
You can’t expect the inventor, or Bittman, to give away the whole thing before it even gets to market. March 9, 2012 at 8:14 p.m. I don't know about the "mostly," but this probably means that the producer doesn't want to share his entire recipe. Thank you for this article! As a vegan I appreciate any effort to get the public to open their eyes to new foods, new meat substitutes and to the fact that meat is absolutely NOT necessary for anyone to consume, ever. Asians have wonderful meat substitutes which I can buy easily here in Costa Rica where I live. Whenever I'm in the US it seems there are many options, but I can't seem to find the inexpensive Asian ones like the chicken you're describing. I've made a chicken and rice dish with the fake chicken and meat eaters are pleased with it. of soy-based products? See http://www.utne.com/2007-07-01/Science-Technology/The-Dark-Side-of-Soy.aspx. Not a shred of real science in this article. Also, the Japanese seem to do quite well on soy. They have a longer life span than we do. March 9, 2012 at 8:12 p.m.
How MUCH soy, though? A few times week can't be any less healthy than the equivalent quantity of real meat. I like Field Roast Apple Sage vegan sausages, although they are high calorie and expensive. Quorn isn't made out of mushrooms. It's made from a mold, Fusarium venenatum. This does not sound tasty, but in fact it's pretty good. The Quorn rolled roast is far better than Tofurky, if you're doing a veg Thanksgiving. I agree about quorn. My son has been eating their nuggets for years and he doens't even know (because I neevr told him) that it's not real chicken. I don't go for most of those fake meats usually but those I like. Oh and I think Mr. Bittman just said they were made from mushrooms because if he used the word "fungus" he probably wouldn't inspire too many readers to try it! Unaddressed in Mr. Bittman's very good article is the fact that almost all non-meat ready-to-heat and eat non-meat substitute foods that are plastic- packaged (e.g. Yves Tofu Wieners) and displayed in refrigerated display cases at groceries, supermarkets, health food stores, or frozen ones, are so laden with salt as to make them not only totally unpalatable but horribly unhealthy. Some friends of mine have said they'd rather eat meat (while knowing the risk of developing colon cancer and heart disease) than salt-drenched meat substitutes. Those marketing soy and other plant based foods aren't showing any greater interest in making the American eating habits any healthier than the giant companies who make all their products salt saturated. A recent visit to QFC, a huge PNW chain now owned by Kroger's, offered not one can, jar or package of unsalted peanuts, cashews, almonds, etc. The American Heart Assn sold their soul for money with their endorsement of heart- attack promoting and high blood pressure elevating salt laden breakfast cereals like Cheerios. And numerous canned and packaged foods that are emblazoned with "heart healthy" wordage and heart images, yet which are laden with salt: The FDA's failure to reign in this deceit makes the FDA complicit in promoting heart disease, heart attacks, strokes and premature deaths for millions of Americans. Why is there an assumption that the slaughter and consumption of plants is ethically superior? On a cellular level, plants have the same components and mechanisms that animals have with the addition of a cell wall, which adds a structural element that in some ways is superior to the simple cell membrane that characterizes animal cells. In addition, plants utilize chlorophyll in a respiratory cycle that lets them create the glucose that powers their growth. Animals lack this ability, and have to get their glucose from external sources. Plants have the ability to sense and respond to their environment, which is why they can turn their leaves to the sun and manufacture chemicals that inhibit the attacks of insects. Both plants and animals are living things, and this assumption that the consumption of plant based foods is ethically superior to that of consuming animal based ones is suspect at best. Plants do not have consciousness, and they have no ability to feel or express pain. Further, to raise animals for meat, it is necessary for them to consume many times their weight in plant products. There is no equivalence. The analogy is silly, and you probably know that. Even if plants feel pain, you double it when you eat animals, because the animals eat plants--which by your showing, feel pain--and then we eat the animals--which certainly do. the chickens and rooster living near me will be as happy as I. yea!